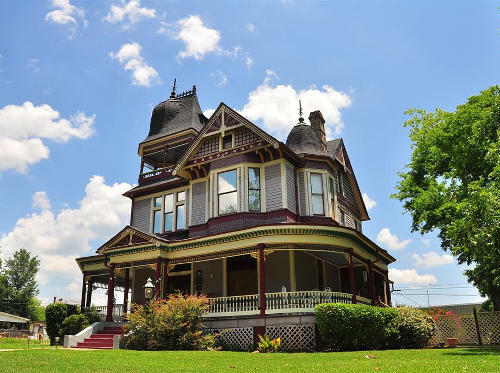 The last of three nearly identical homes built in Texarkana, the Earl-Rochelle house was constructed in 1899 for realtor and merchant John W. Earl (1861-1925) and his family. An excellent example of Queen Anne style with asymmetrical composition, the home features a complex roofscape incorporating gables and polygonal turrets. Eastlake detailing is evident in the decorative gable end treatment. James F. (1864-1938) and Ella Jo (McMickle) (1873-1966) Rochelle owned the home from 1929 to 1966.